On November 28th, CCP21 partners were invited to take part to the Platform meeting organized by Port of Utrecht at Paviljoen en Atelier Waterwerken. The platform is the contact for issues that affect logistics developments in the Utrecht region. 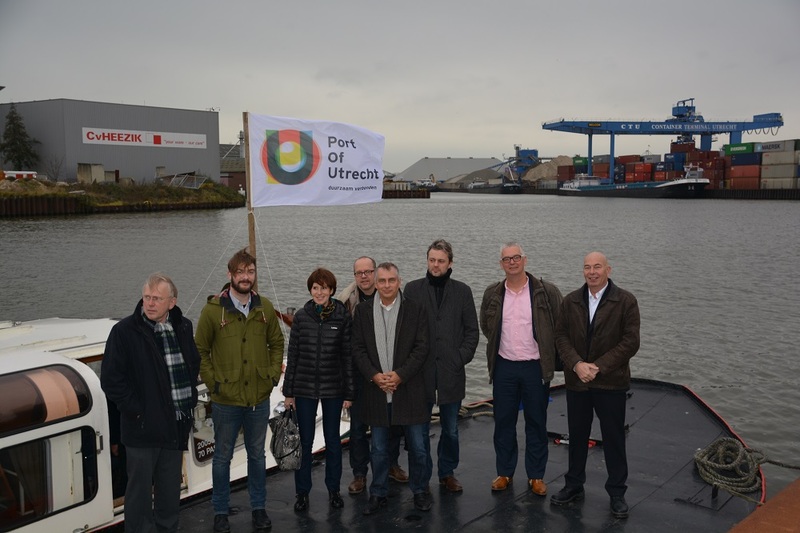 For the development of Port Of Utrecht, industry and government are working together in the Platform Port Of Utrecht. The parties are committed to introducing innovative and efficient logistics concepts for road, water, rail, and combinations. Following an opening speech by Theo van Oijen (chairman the Port of Utrecht) and Erwin van der Weide (coordinator for Port of Utrecht), the guests had the opportunity to listen to Rickkert de Kort (Buck Consultants) for a presentation about logistics decoupling and Hans Kraaij (Province Utrecht) for a presentation about ‘t Kloster. What do companies need in order to excel in the Port of Utrecht? As a company, what do you need in order to (in the future) link modalities together on an optimal basis ? What contribution can you deliver and what do you expect from the other organizations? A really fruitful debate followed surrounding these three questions. The Platform meeting ended with a presentation by Anthony Callens (Port of Brussels) about city distribution via multi-purpose transhipment points in Brussels. 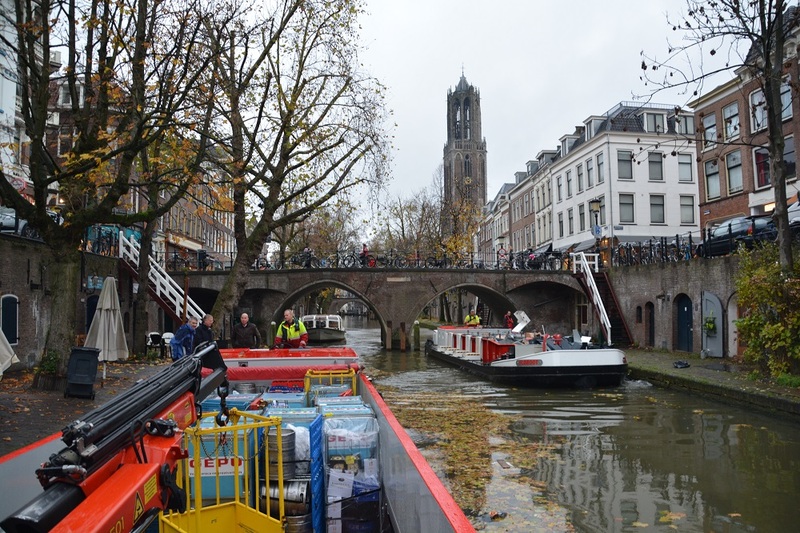 On November 29th, CCP21 partners embarked for a tour through the Ports and cannels of Utrecht with a vessel from Schuttevaer. For this very specific occasion, two VIP tour guides had taken care of the ship’s crew during that day: Theo van Oijen (Chairman Port of Utrecht) and Willem Addink (Portmaster). In addition to visiting the navigable are of the port of Utrecht, Partners also visited Oskam’s infrastructures at Lage Weide. Oksam is a company that offers sustainable complete solutions in the fields of dismantling and demolition job, soil remediation, asbestos abatement, infrastructure, landscaping, recycling, detecting and removing conventional explosives, transport by road and water. 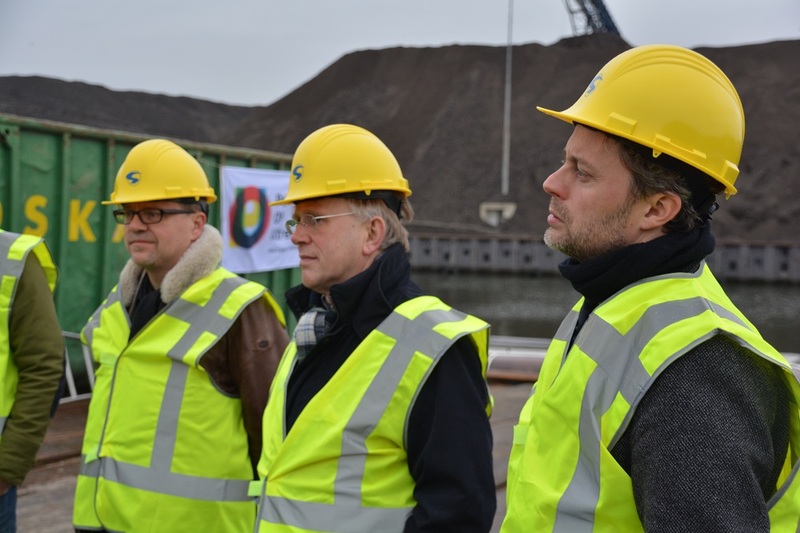 After the visit, in the centre of Utrecht’s cannels, CCP21 partners had the opportunity to see two operational investments in action: the Ecoboot and the Stroomboot.